Today You Get Aru Shah! Ladies and gentlemen, mortals and demigods, it’s finally time to meet . . . Aru Shah! 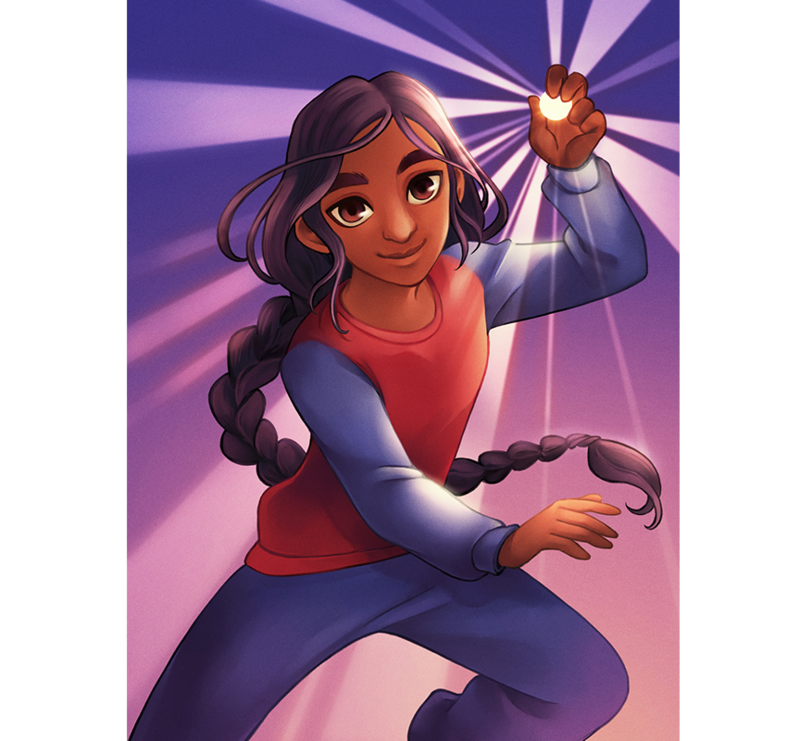 Today, as you head full-force into Book One in the Pandava Quartet, Aru Shah and the End of Time, take a minute to see our rendition of the star of the show! Aru is a 12-year-old girl with a habit of stretching the truth. She loves to let her imagination run wild in the Museum of Ancient Indian Art and Culture in Atlanta, Georgia, where she lives with her mother. But when she lights the cursed Lamp of Bharata, she sets off a chain of events she might not be able to stop. In the process she also learns all that is powerful and magical about herself. Including that she is a demigod. The magical orb she holds in her hand is a gift from the gods to aid her in her quest. She calls it her enchanted Ping-Pong ball.